New Years Eve fireworks, Cairns Esplanade. I hope the start to 2019 is a good one for you all. A lot of the rings that I will make in 2019 were designed in 2018. The reason for that is mainly because whenever I sell an engagement ring we plan for the wedding ring at the same time. 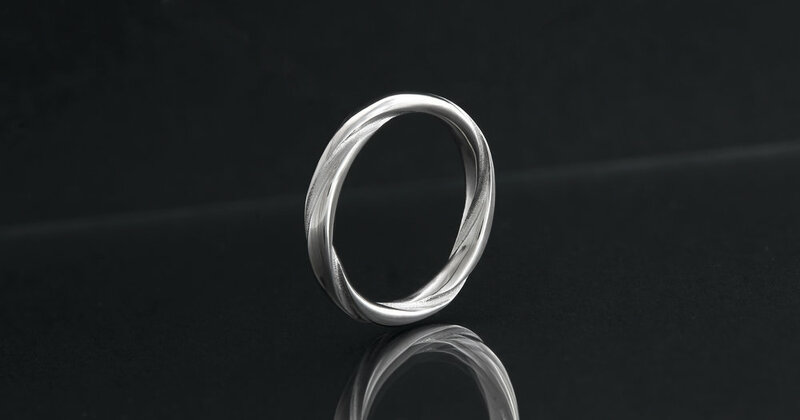 This avoids any problems when the time comes to make the wedding ring. The end of 2018 and the start to 2019 saw a lot of work booked in for weddings and engagement proposals. The only day I have had off during the holiday period was Christmas day so if I have been a bit quiet in the New Year you know why. Today lets look at a ring that was designed in September 2018. It is very difficult to design a piece of jewellery for someone else. Tastes in jewellery vary so greatly. This customer however was certain of the design he had in mind for his fiancée to be. In the case of the ring above my input to the end design was minimal. He selected all the diamonds sizes, band shape, even the claw styles and sizes. She said yes and soon after we all met together to discuss her wedding ring design. 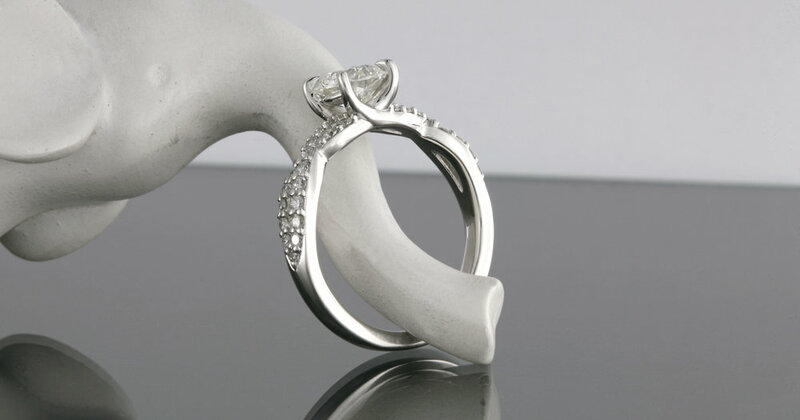 Working in health she desired a wedding ring that would suit. It did not need to overly match her engagement ring as she intended to wear the wedding ring on its own most of the time. She was looking forward to perhaps doing something a little different. The design she had seen and liked was based on a double helix which we see occur naturally in molecular biology. My regular customers will know that I love the use of drafts to confirm a design that has been approved from a picture. After scaling the design in the photo she provided, I created the silver draft you see above. Once she put it on I think we all agreed it was a little underwhelming. If I know the value of one measurement in a photo of a design I can quite accurately calculate dimensions. The smallest changes to those values can have the most profound effect on how a ring looks and feels once you actually put it on. I made the following changes to the design to achieve the draft ring you can see above. She loved the end result once on her hand and the design now sits in waiting for the wedding date to approach. This year without a doubt I will be doing something that I have been talking about doing for years. I am going to work less. The end of 2018 and start of 2019 was so crazy with long work hours that I did get ill. Time for me to wake up and realise I cannot do the hours I used to, slow down and enjoy more time with my wife and family. Thank you to all my customers for their support in 2018 and I wish you a wonderful 2019.